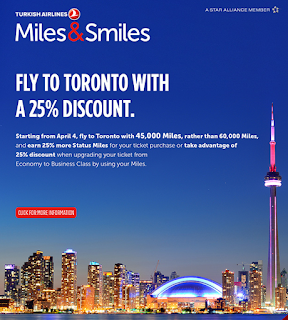 Turkish Airlines is offering 25% bonus Status Miles&Smiles miles on their Toronto flights until the end of the year. Have enough miles and want to redeem? 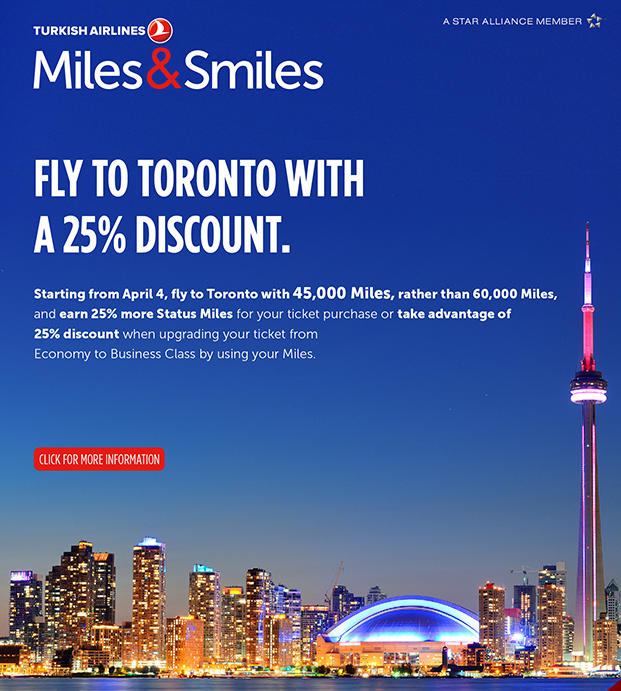 You can also save 25% on Miles&Smiles award tickets between Toronto and Turkey also until the end of the year!